Variegated form of the W. fruticosa with green leaves and cream band. Lower growing rarely exceding 3'. 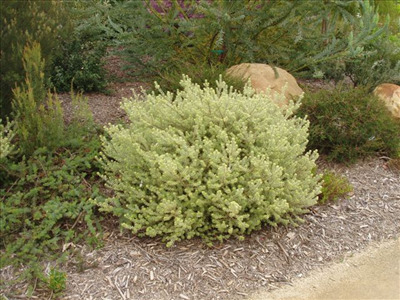 Hardy shrub for inland or coastal situations, tolerant of salt spray. Excellent low hedge. Great landscape shrub.